The world at the beginning of the 6th century AD. In its second Golden Age, the Sassanid Empire reached the peak of its power under Khosrau I in the 6th century. The classical Gupta Empire of Northern India, largely overrun by the Huna, ended in the mid-6th century. In Japan, the Kofun period gave way to the Asuka period. After being divided for more than 150 years among the Southern and Northern Dynasties, China was reunited under the Sui Dynasty toward the end of the 6th century. The Three Kingdoms of Korea persisted throughout the century. The Göktürks became a major power in Central Asia after defeating the Rouran. In the Americas, Teotihuacan began to decline in the 6th century after having reached its zenith between AD 150 and 450. Classic Period of the Maya civilization in Central America. 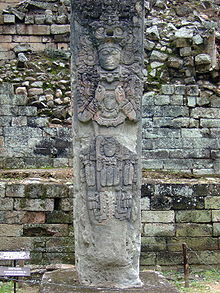 Early 6th century – Ah Suytok Tutul Xiu founds Uxmal. Early 6th century – Archangel Michael, panel of a diptych probably from the court workshop at Constantinople, is made. It is now kept at The British Museum, London. Early 6th century – Page with Rebecca at the Well, from "Book of Genesis", probably made in Syria or Palestine, is made. It is now kept at Österreichische Nationalbibliothek, Vienna. By 6th century – Shilpa Shastras is written. Early 6th century – first academy of the east the Academy of Gundeshapur founded in Iran by Khosrau I of Persia. Early 6th century – Irish colonists and invaders, the Scots, began migrating to Caledonia (later known as Scotland). Migration from south-west Britain to Brittany. Early 6th century – Glendalough monastery, Wicklow Ireland founded on St. Kevin. Many similar foundations in Ireland and Wales. Early 6th century – Zen Buddhism enters Vietnam from China. Early 6th century – Basilica of Sant'Apollinare in Classe's apse's mosaic is completed. 502: Chinese annals mentioned the existence of the Buddhist Kingdom, Kanto Lim in South Sumatra, presumably in the neighborhood of present-day Palembang. 518: Eastern Roman Emperor Anastasius I dies and is succeeded by Justin I.
c. 524: Boethius writes his Consolation of Philosophy. 525: Having settled in Rome c. 500, Scythian monk Dionysius Exiguus invents the Anno Domini era calendar based on the estimated birth year of Jesus Christ. 527: Justinian I succeeds Justin I as Emperor of the Eastern Roman Empire. 529: Saint Benedict of Nursia founds the monastery of Monte Cassino in Italy. 532: Nika riots in Constantinople; the cathedral is destroyed. They are put down a week later by Belisarius and Mundus; up to 30,000 people are killed in the Hippodrome. 537: Battle of Camlann, final battle of legendary King Arthur. 541–542: First pandemic of bubonic plague (Plague of Justinian) hits Constantinople and the rest of Byzantine Empire. 545: Nubian Kingdom of Nobatia converts to Christianity. Mid-6th century – Buddhist Jataka stories are translated into Persian by order of the Zoroastrian king Khosrau. Mid-6th century – Cave-Temple of Shiva at Elephanta Caves, Maharashtra, India, is built. Post-Gupta period. Second half of 6th century – Virgin and Child with Saints and Angels, icon, is made. It is now kept at Saint Catherine's Monastery, Egypt. 550: Kingdom of Funan dies out. 552: Buddhism introduced to Japan from Baekje during the Asuka period. 554: Eviction of the Ostrogoths from Rome, and the re-unification of all Italy under Byzantine rule. 561 to 592: Buddhist monk Jnanagupta translates 39 sutras from Sanskrit to Chinese. 563: The monastery on Iona is founded by St. Columba. 568: Lombards invade Italy and establish a federation of dukedoms under a king. 569: Nubian kingdom of Alodia converts to Christianity. 569: Nubian kingdom of Makuria converts to Christianity. 570: Birth of the Islamic prophet, Muhammad. 574: The Byzantine empire is invaded by various Slavs, the Balkans are plundered by the Slavs. 577: China's Chen Dynasty invents matches. 579–590: Reign of Persian Shah Hormizd IV. 582–602: Reign of Byzantine Emperor Maurice. 585: Suebian Kingdom conquered by Visigoths in Spain. 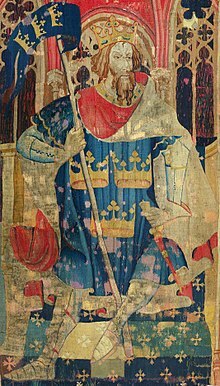 587: Reccared, king of the Visigoths in Spain, converts to Catholicism. 588: Shivadeva ascends the throne of the Lichchhavi dynasty in Nepal. 589: Third Council of Toledo adds the "filioque" clause to the Nicene Creed in Spain. 589: China reunified under the Sui Dynasty (589 – 618). 590: Gregory the Great succeeds Pope Pelagius II (who dies of plague) as the 64th pope. 594: Beginning of the Bengali Calendar or (বঙ্গাব্দ Bônggabdô or Banggabda). 595: Pope Gregory sends Roman monks led by Augustine to England. Uneh Chan, Maya Ajaw of Kaan kingdom (Calakmul) Ruled AD 579–611. Dionysius Exiguus creates the Anno Domini system, inspired by the birth of Jesus, in 525. This is the system upon which the Gregorian calendar and Common Era systems are based. Backgammon (nard) invented in Persia by Burzoe. Chess, as chaturanga, entered Persia from India and was modified to shatranj. Breast-strap horse harness in use in Frankish kingdom. Byzantine Empire acquires silk technology from China. Chen Dynasty from China invents matches in 577. Silk is a protected palace industry in the Byzantine Empire. In 589 AD, the Chinese scholar-official Yan Zhitui makes the first reference to the use of toilet paper in history. Significant to the history of agriculture, the Chinese author Jia Sixia wrote the treatise Qi Min Yao Shu in 535, and although it quotes 160 previous Chinese agronomy books, it is the oldest existent Chinese agriculture treatise. In over one hundred thousand written Chinese characters, the book covered land preparation, seeding, cultivation, orchard management, forestry, animal husbandry, trade, and culinary uses for crops. Wikimedia Commons has media related to 6th century.